Blueberry is an indispensable source of vitamins necessary for healthy vision. 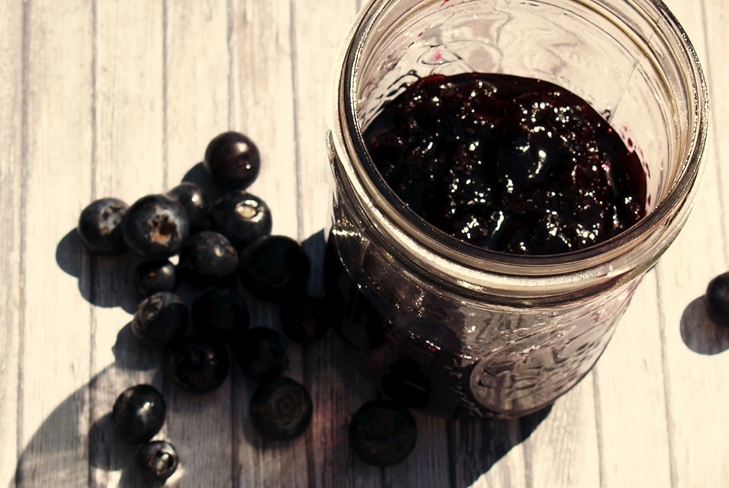 Unfortunately, all the berries tend to spoil quickly, so the ideal billet for the winter can be a blueberry jam. The advantage of this jam is its quick cooking – it takes exactly 5 minutes. However, the whole process will take a little more time because the berries need to wash and sort out. 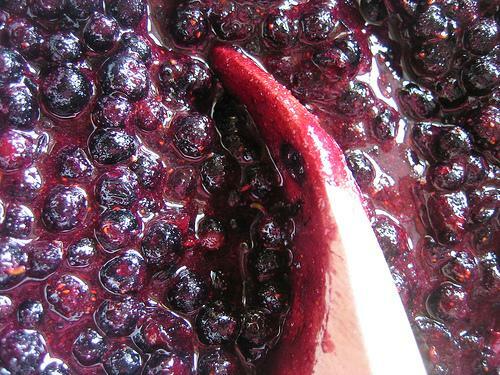 Before you start making jam from blueberries, the berries should be thoroughly washed through and dry. 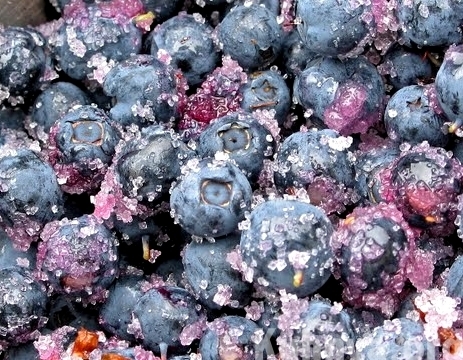 Prepared blueberries spread in a deep container and add sugar. In this form, the berries must be left for a few hours so they let the juice. Present the berries put in a saucepan and cook on a medium heat until boiling plus exactly 5 minutes. Ready blueberry treat is poured into sterilized jars and close with lids. This jam is intended for adults only, as it includes alcohol. For this recipe you should use only the ripe and juicy berries, or the jam will turn out tasteless. Fresh blueberries my, iterate and dry with a paper towel. Processed berries pour into the pan, add a little water, then lightly press the blueberries, so she let the juice. Put the saucepan on slow fire and cook the berries until until they become soft, while stirring constantly. Then add the sugar to the pan – it should be done in small portions so as not to interrupt the boiling process. Cook blueberry weight still for 5-7 minutes, then pour in the rum and immediately remove the pan from the heat. Pour hot jam on banks and roll. Overturn jars upside down and wrap it up with a warm blanket. 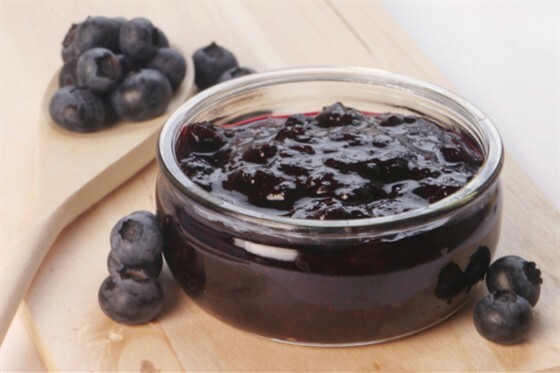 If you have no desire for a long time to stand at the stove and spend time in the workplace, you can make blueberry jam that does not require heat treatment. Berries wash, dry and sort out. To select it should be fresh and ripe fruit, avoiding contact with spoiled berries, as they can significantly reduce the shelf life of jam. Prepared berries mince. To use the blender is not recommended, as it will turn the blueberries into a homogeneous mass, which is not suitable for this recipe. Twisted through a meat grinder and spread the blueberries in the bowl and add sugar. This recipe uses only 800 g of sugar to taste jam turned out natural, but you can add more if you want to make the dessert more sweet. All ingredients mix thoroughly, put in sterilized jars and close with lids, which should first be boiled.